These beauty advent calendars are coming in so thick and fast now, I reckon we’ll be sick of them by Halloween. It’s amazing how something that wasn’t even a thing 5 years ago is now a hotly contested marketplace. Time to treat yo’self guys. In this post we’re looking at the Marks and Spencer Beauty Advent Calendar 2017 and the first ever John Lewis Beauty Advent Calendar. Just giving you fair warning that I’ve got photos of what’s inside both, so don’t scroll down if you’re not in the mood for a spoiler, OK? First up, and already on sale is the John Lewis offering. What a corker! It retails at £149 and is available to buy here now on the John Lewis site. I think this is going to give the Liberty Advent Calendar a run for its money, since it’s around the same price point and also features luxury brands, but it doesn’t come out until near the end of October. Well played John Lewis! The Marks and Spencer Beauty Advent Calendar 2017 doesn’t go on sale until November 9th. Edited to add: It’s now on sale here. As with last year you have to spend £35 on clothing or home (easily done) to get access to the calendar for £35. Star pick for most people is probably going to be the Alpha H Liquid Gold Rose, which is a milder version of the regular Liquid Gold exfoliant. However, if you bought the Tili box by QVC (as I did) then you will already have encountered this product. And there are quite a few repeats in this calendar from previous offerings by M & S – I’ve definitely had that Emma Hardie cleansing balm, the Shay & Blue perfume and Nails Inc nail polish before. I bought the first two Marks and Spencer Beauty Advent Calendars and my first thought on this one is that it’s more of the same, when what I really want is something new. 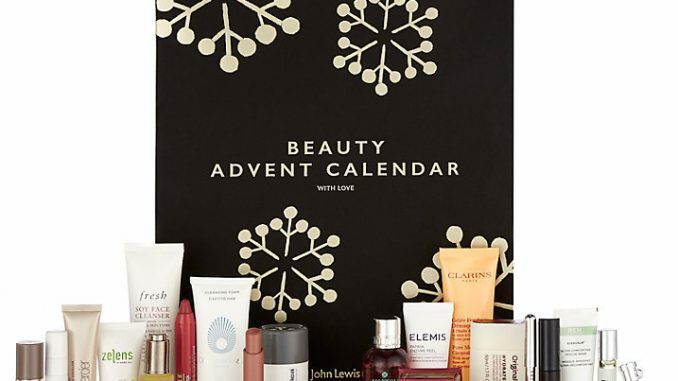 If this is your first year treating yourself to a beauty advent calendar then I can definitely give M&S the thumbs up as one of the good ‘uns. But personally I will be looking for something new this year – and I’m strongly tempted by John Lewis.